I AM THE BORNEO EXPLORER 婆罗洲探险者: Rediscovered Kuching, Sarawak, Borneo. The land of the Hornbill. Rediscovered Kuching, Sarawak, Borneo. The land of the Hornbill. 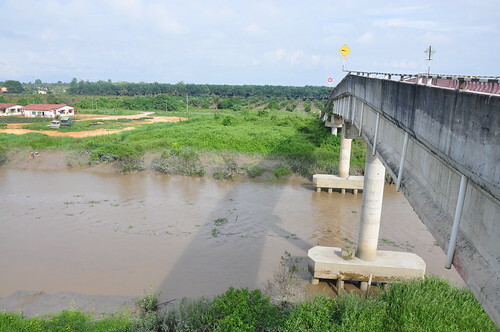 Gedong at Simunjan, this bridge belongs to a private sector oil palm plantation company. The river water are muddy, and my friend who worked here before told us that the river use to be very clean, it was around 20 years ago. The oil palm plantation has polluted the place, and also damage the environment. There is no balance in these days, they want to earn more wealth, but in the same time they need to cut down the tress to plant the palm trees. And the one who suffer will be the people who live nearby, and the flora and fauna at Gedong, Simunjan. Gedong - benak (Tidal Bore) The river forms a small wave (watched my video at the end of this post). A very unique scene, the water current are flowing from opposite direction, and when they collides they form wave. Gunung Ampungan, at the Serian-Sri Aman highway, 776 meter above sea level. I've been here before, you can read my previous blog by click here. 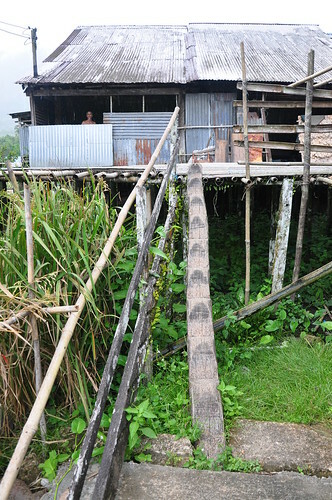 Kampung Tubih, Batuh Ra-ung. Serian-Tebeduk highway. Look at the rocks formation behind me, and one of the rocks mount has a cave near the top of the summit. What a magnificent scene we have here in Kuching. 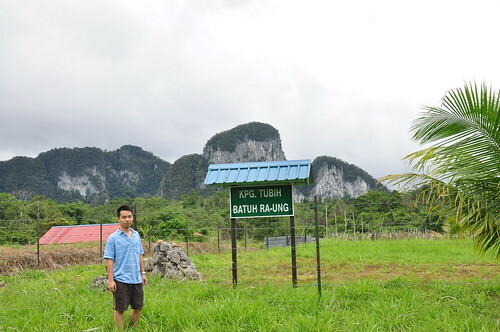 Kampung Senah Rayang, the Padawan outskirt. 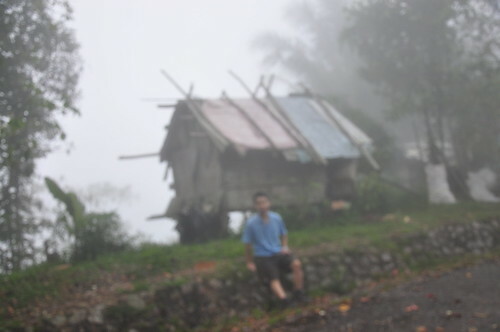 This is a very remote village, there is situated on the foot hill. When we reach, the mist are covering the forest. The hill are like a mother gently holding her baby (that village) in her arms protecting the baby from danger. We stop by for a while, and I talked to a local there, he told me that there is a waterfall just next to this village, and we should go and visit it. I love too, but it starts to rain again, so we have to leave. Pity can't stay long to take picture, but was glad that we do stop by and visit the place. The video I made during this trip, in this video I will show you more of Kuching which you can't see while in the Town area. Enjoy.